I've been busy with a bunch of long-requested membership perks in the last two months. Let's break it down by membership level, shall we? The RubyTapas archive consists of over 450 episodes at this point. And the organization is… well, it's a bit haphazard. Perhaps the most common request I've received over the years is for “trails” or episode guides that group episodes into topics and offer a recommended order. RubyTapas Tasting Menus are hand-curated courses drawn from the RubyTapas episode history. They provide a starting point and a recommended order, as well as an easy way to navigate from one episode to the next. 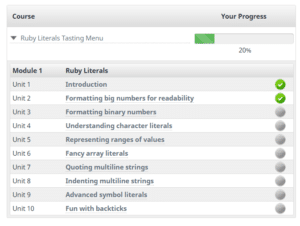 Currently there's just one Tasting Menu, a small course on Ruby literal syntax that I used as a proof-of-concept to make sure we could deliver a good course experience. But if you go to the list of menus, you'll also see a survey where you can help me decide which Tasting Menu to put together next. These aren't just episode guides. 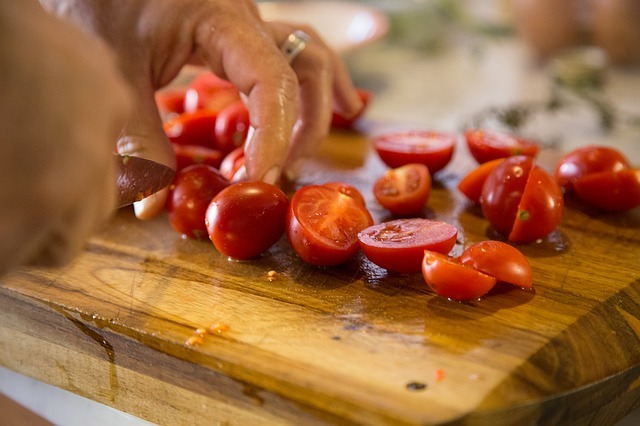 They are true courses which will track your progress as you go from one dish to the next. In addition, each “dish” (unit) gets a brand-new introduction to set up how the episode relates to the topic, and to help tie the course into a cohesive whole. They will be living courses. As we produce new episodes, we'll update the appropriate courses to include them. Since they involve significant ongoing effort, Tasting Menus are for Ravenous-level subscribers only. You can check out the tasting menu list, and vote for the next menu, by clicking on the new Tasting Menu menu item at the top of the site. There's also a new “My Courses” menu under the “Account” heading, for keeping track of your progress. I finally buckled down and figured out how to integrate a members-only RSS video feed with the membership software we're using. Yep, this means you can tune in with iTunes or your favorite video-capable podcatcher app (I'm a fan of Miro) and have your videos delivered to your device for offline viewing. It's limited to the last ten episodes. It uses HTTP Basic Auth for authentication, just like the old feed, so your podcatcher app will need to support that. 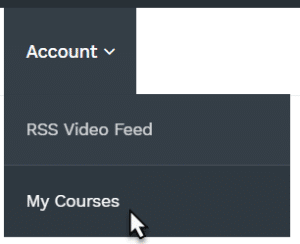 If you're ready to tune in to the feed, you can find instructions for using it if you mouse over the “Account” menu and click on “RSS Video Feed“. Back when we first rolled out the “Hungry” plan, the terms were that it would grant gradual access to earlier seasons of the show—more seasons the longer you remained a member. This has now been relaxed: if you're a Hungry subscriber, you have immediate access to the entire archive. We actually changed this a couple months ago, and I just never got around to announcing it. Have you ever wanted to roll the dice and watch a random RubyTapas episode? Someone asked for this feature recently, and it turned out to be a 10-minute implementation. 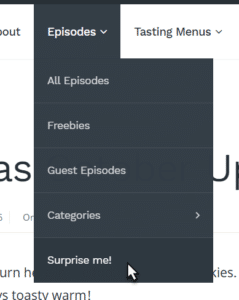 So if you're feeling adventurous, just mouse over the Episodes menu and choose “Surprise Me”! Not so much a feature, as a new category of content. Remember recently when I announced that the show was going to one episode a week, but that I might sometimes drop some extra non-episode content in any given week? Yeah, I know, I posted about team plans in the last update. But since then we got our hands on a shiny new software update, which has enabled us to drastically simplify sign-up for teams. Getting your team signed up for RubyTapas is now just as easy as signing up for an individual account. Just select the plan size that fits your team, and check out. Not only that: the new plan tiers offer significant discounts over buying individual accounts for team members! But that's not all that's new! When you sign up for team plan, you'll now get access to a team admin page, where you can add and remove users whenever you want. If you have some end-of-year training budget left over, what better way to put it to use than delicious RubyTapas for your whole team! Over the last couple of months we've squashed a few bugs as well. The video download links will now start a download instead of opening the video in your browser. A recent software update seems to have fixed the issue where extra invoice info, such as VAT information, wasn't being inserted correctly into receipt emails. If you still don't see your extra invoice info displaying as it should, please let us know. A definitive answer to when to use a “bang” (“!”) in your method names — and when not to. Expressively generating data sets with the Array#product method. An intro to the Values gem for simple immutable objects.